A jigsaw within a jigsaw! Extra tricky and double sided. Probably the most mentally stimulating jigsaw ever created! On one side of this 1000 piece puzzle is an image of the jigsaw’s own cutter guide, making this a jigsaw of a jigsaw – and a real challenge! 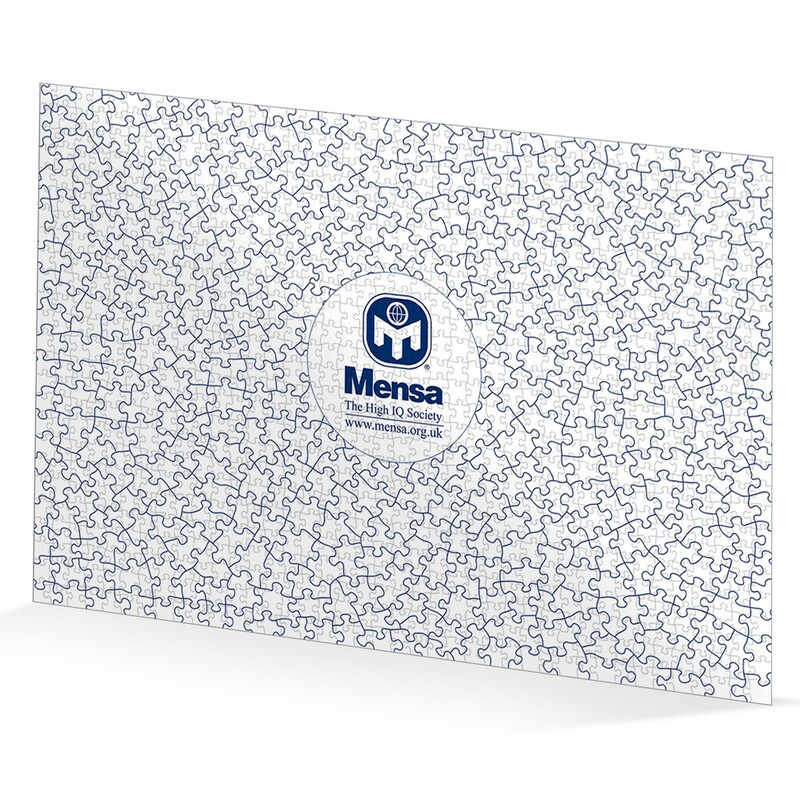 The reverse side has 12 classic Mensa brain teasers, so once the jigsaw is completed further challenges exist. Answers to the brainteasers are included.